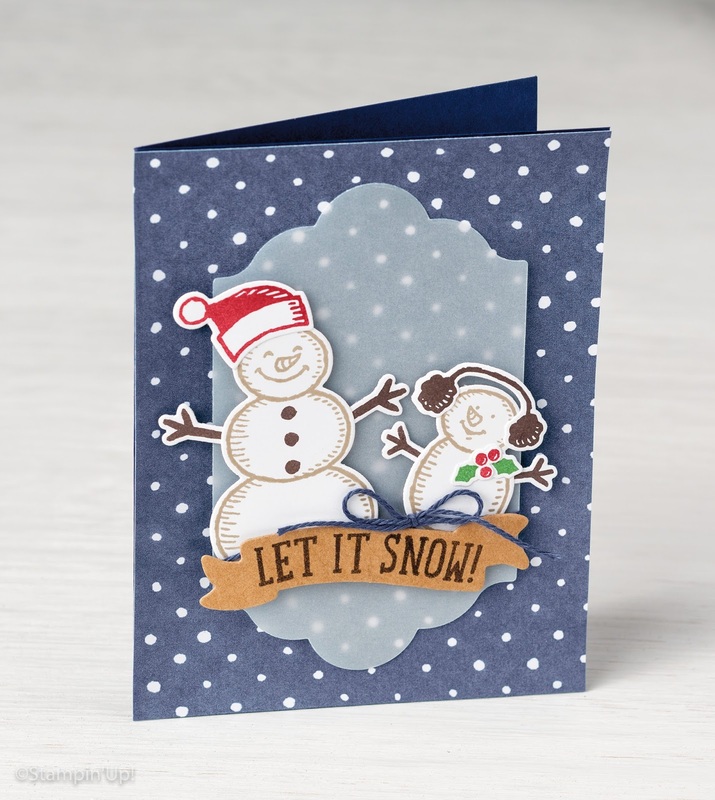 Today's project is a lovely Christmas card - yes, yes, I know - you're probably thinking it's a bit early for Christmas, but it's not unusual at all for us crafters to get ready around about July. There are actually many card-making blogs and challenge blogs that concentrate on Christmas cards all year round. I haven't got myself organised yet - each year I say I'm going to make my Christmas cards and I have to be honest and tell you that I (nearly always!) fail miserably. This year I will intend to get them made, but we'll just have to see what happens. Fingers crossed! 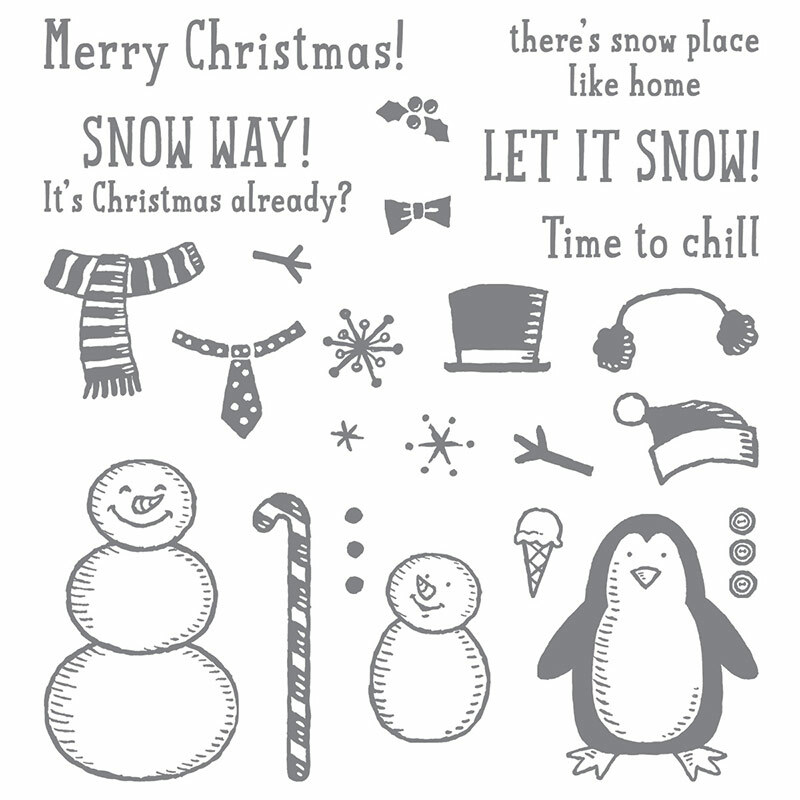 Today's project has been made using the Snow Place stamp set from Stampin' Up! which is just so much fun! 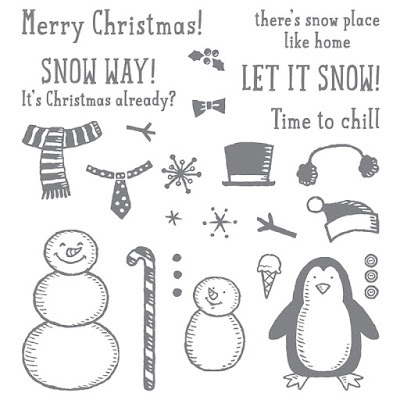 The characters have been cut out using the Snow Friends Framelits by running them through the Big Shot and the background has been cut out using the Lots of Labels Framelits in Vellum Cardstock. Isn't it a lovely card?